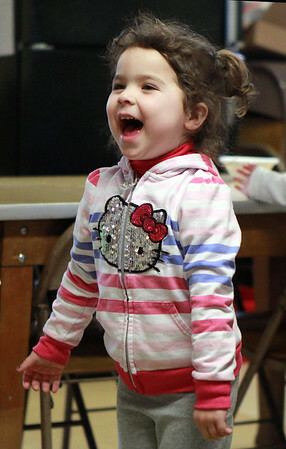 Emma Brown, 3, a student at the Annisquam Pre-School, laughs while dancing along to kids tunes during a music/movement program on Thursday morning. DAVID LE/Staff photo. 2/5/15.